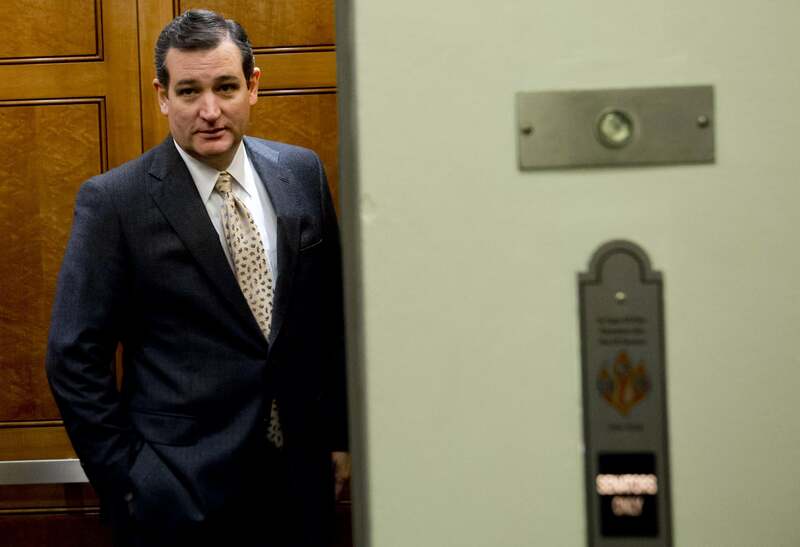 Ted Cruz accepts Statesman of the Year Award, acknowledges call for Obama impeachment. SARASOTA, Fla.—Later tonight, Sen. Ted Cruz will accept the fourth annual Statesman of the Year award from the Sarasota GOP. It’s a fantastic gimmick, one you can’t believe others haven’t copied—the party gooses its usual dinner gathering by giving a popular Republican a bust of Ronald Reagan and a title he can carry wherever he goes. Shortly before 6 p.m., Cruz took a stage in a waterfront Hyatt, framed by photos of previous Statesmen: Haley Barbour, Donald Trump, and Sean Hannity. The speech was a version of the stump Cruz has been giving to Republican crowds everywhere—an Al Gore joke, followed by a retelling of Senate battles that ended in victory (Manchin-Toomey) or defeat (Obamacare). And the crowd egged Cruz on after he described how President Obama, the “most lawless” chief executive in American history, had cut deals and ignored the mandates of the Affordable Care Act. “What does it take to impeach him?” yelled a Republican in the crowd. The people around him erupted with applause. Cruz smiled as the din faded. “It takes 218 votes in the House of Representatives,” he said.